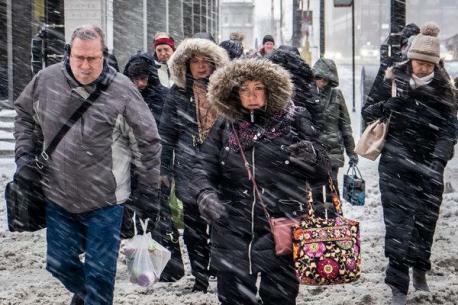 As an arctic mass of bitter cold air descends on the region, we have a lot to look forward to: whipping winds, frozen pipes, and generally painful outdoor experiences. Oh and now there's one more thing, apparently: "frost quakes." Information provided by The Associated Press. 1. Frost quakes are a real thing, and they've been reported in Pennsylvania as well as across the mid-west, which is bracing for some of the coldest temperatures in decades. 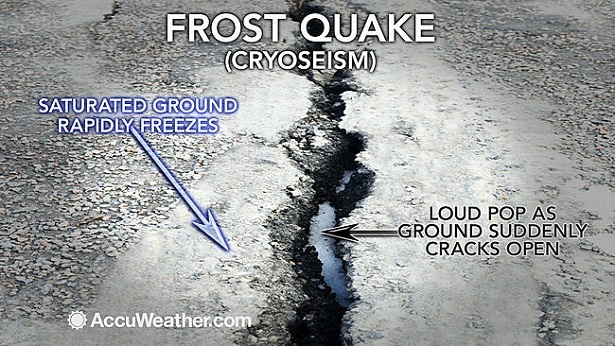 A frost quake, is a seismic event potentially caused by a sudden cracking in soil or rock that's frozen due to being saturated with ice or water. According to Indiana-based television network WLFI, frost quakes are not known to cause injuries or damage and are commonly heard at night when it's quieter. Is this the first time you are reading about frost quakes? 2. There have been several instances of frost quakes reported in Pennsylvania, most recently in Dillsburg, York County. Residents there told CBS21 they've recently felt the ground shake underneath their homes. Frost quakes are caused during times of extreme cold. As water drains into the ground, the liquid freezes and expands, putting "stress" on everything around it. At a certain point, the ice breaks or cracks creating these "booms," according to WLFI. If you are currently living in an area with extreme Winter temps, have you ever experienced a frost quake? 3. 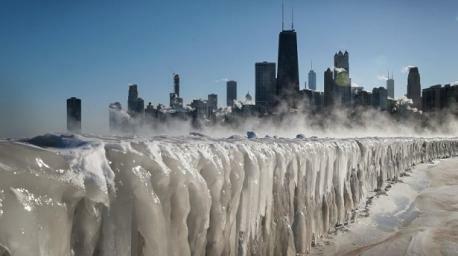 Is the extreme cold is coming our way. 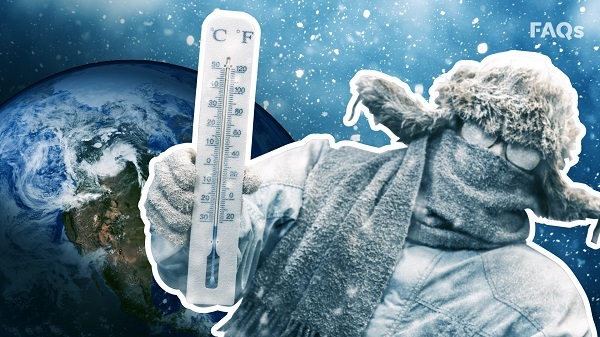 Thursday's high will be 17 with wind chill values as low as -12, according to the National Weather Service. While you shouldn't worry much about injuries or damages, the "boom" could be loud enough to wake you up, warns Mechanical Business. Do you live in an area where the excruciatingly cold blast of winter weather has plunged parts of the nation into a deep freeze?